Instant hot water taps & wall mounted boilers give you boiling water on demand, and every drop is filtered! No more filling the hot water urn or waiting for the kettle to boil. Save time in busy environments with an instant hot water tap or wall mounted boiler unit. 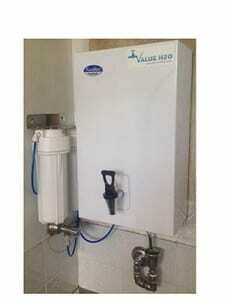 Our instant hot water taps and wall mounted boilers are compact, energy efficient and fully automatic. 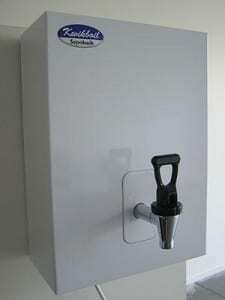 Ideal for heavy usage requirements, all our instant hot water taps and wall mounted boilers save space, time and money. Plumbed in by our experienced water cooler service technicians, our instant hot water taps and wall mounted boilers connect directly to your main water supply and are simple and reliable to operate. Instant hot water taps and wall mounted boilers are tamper proof and provide the convenience of freshly filtered boiling water on demand, 24 hours a day, 7 days a week – perfect for busy offices and many other commercial applications. Instant hot water taps utilise space under the sink to house the filtration system which makes them perfect for small office kitchens and staff rooms. The ‘Supasilent’ standby operation of our wall mounted boilers means that you no longer have to put up with the repetitive noise of water being re-boiled while the unit is not in use. 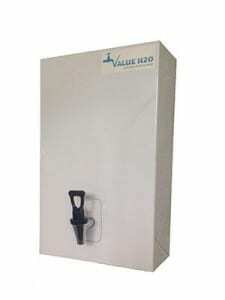 This feature also makes wall mounted boilers ideal for installation in hospitals, boardrooms, schools, libraries or any other area where the periodic noise of water being re-boiled is likely to be of a concern.